“The soil quality, low prices and the opportunity to secure many subsidies have attracted foreign investors”, the Jurnalul National explains. The daily newspaper reports that various European newspapers have described Romania as a ‘new Eldorado’ for farmers. Based on the precondition of the accession treaty of Romania to the European Union, the de-regulation of the estate property will further reduce the limitations set for purchase of land by foreigners as from 1 January 2014. However, during the build up to these enterprises, investors from abroad have already bought ten percent of the farmlands through Romanian companies (Srl). And according to realistic estimations the current level of farmland use in the country would be no more than 25 percent. The economic crisis has not significantly influenced the Romanian farmland market. The low average farmland prices in Romania have been more than doubled since 2007 and the rise shows absolutely no signs of slowdown. Therefore, buying Romanian farmland now provides a very attractive investment option. In spite of the recent price increases. While the average price of a hectare of farmland was 927 euro in 2007, this price has increased to 1,972 euro in 2011. And after this, this rise continued up to more than 2,700 euro per hectare for so-called non-consolidated land. 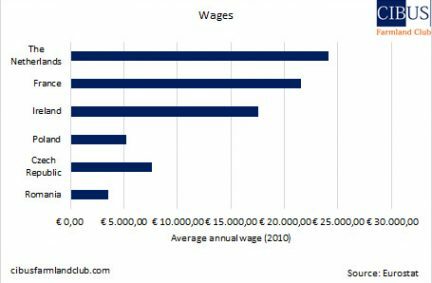 The prices continue to rise and lie between an average of 3,500 euro to 5,500 euro per hectare, depending on location and quality. Farmland transactions are being done in euro currency. (Note: all the land prices mentioned hereinafter are divided into non-consolidated and already consolidated farmland prices. The average prices of already consolidated, cultivated lands are approximately twice as high as those of non-consolidated, low productive lands). Romania is currently still very attractive for agri-investors, especially because the land prices are still seven or even eight times lower than in the rest of Europe. Even though there are large areas in Romania with the desired Chernozem soil (‘black earth’). The continental climate is also favourable and there are large areas with sufficient rainfall and ground water, so that expensive irrigation is not necessary. Low prices combined with high quality soil and the large surfaces of available land have until now persuaded local investors and also many foreign companies and investment funds to buy Romanian farmlands. 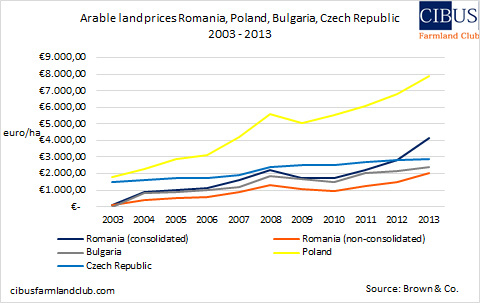 It is generally expected that the prices of farmland in Romania will double or even triple during the coming 10 years. 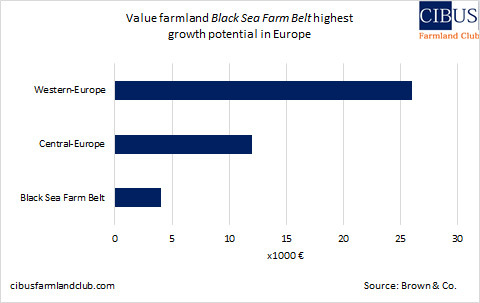 The trend of rising land values will be maintained during the coming years and prices will probably stabilise at the moment that the Romanian agriculture as reached the level of European matureness. It will then be characterised by a much higher crop production on large consolidated plots which meet all the required juridical and land register criteria. The contribution of Western agricultural techniques and knowledge can further ensure the infrastructure required for a better cultivation of the land in a continuous and sustainable manner. During the past few years, foreign investors have already bought approx. 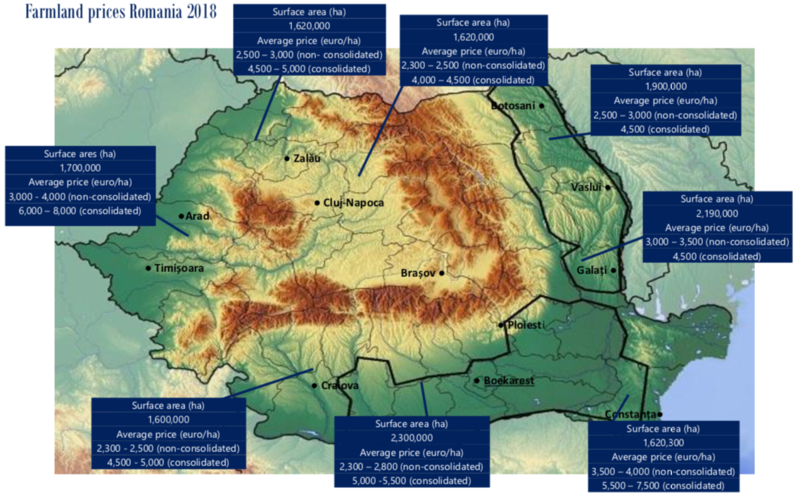 1 million hectare of the 8.8 million hectares of available farmland through Romanian companies. 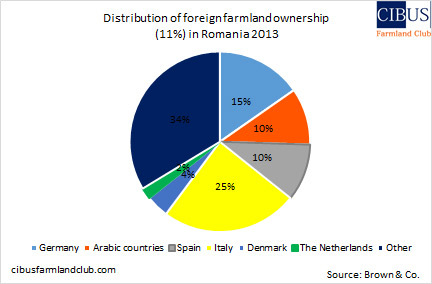 With this, Romania has the largest share of foreign farmland owners within Europe. As from 1 January 2014 non-residential foreign citizens are also allowed to make private investments in Romanian farmland. 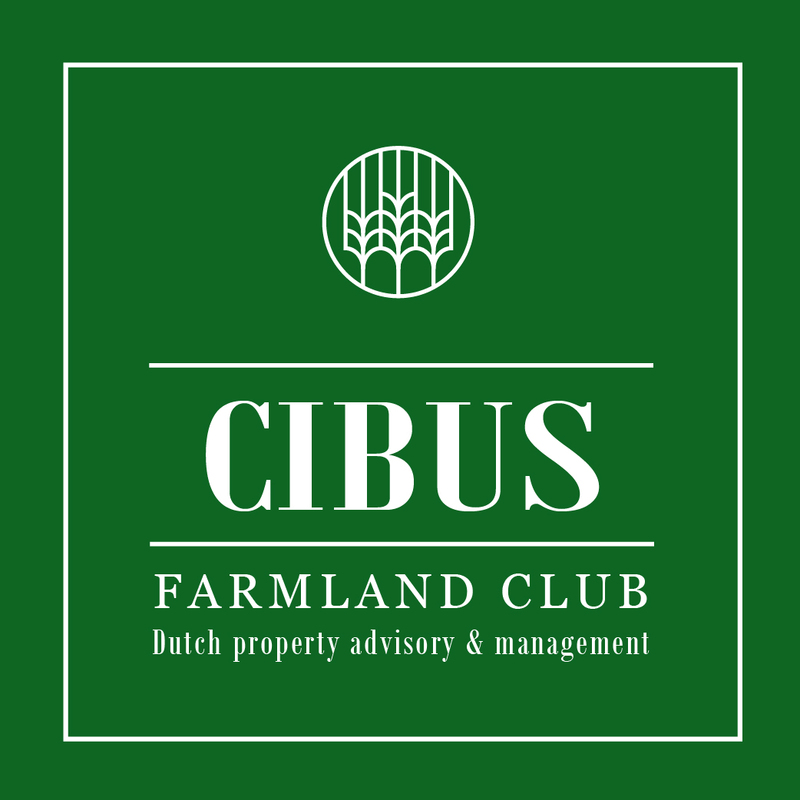 As in fact many foreigners have already bought local farmland through locally established companies (Srl), it is not very likely that this liberalisation will lead to an explosive demand or rise in prices in 2014. But the pressure on the supply will certainly rather increase. A lack of sufficient work capital often limits the efficient and maximal business operations among local farmers. As a result approx. 75 percent of the Romanian farmlands is still left fallow. 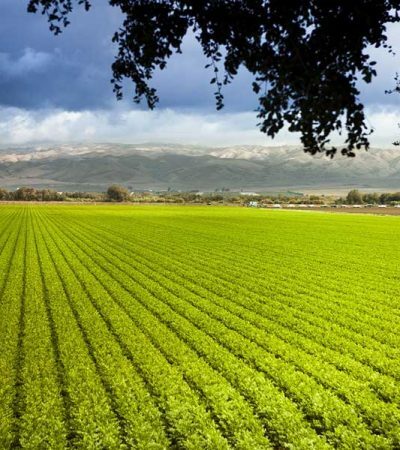 With management & knowledge of CFC and the capital of mostly Western European and/or Arabic investors the crop proceeds can be considerably increased and farmlands can be cultivated more effectively. Due to this, crop yields sometime increase with 400% within one year. Together with the EU, the Romanian government stimulates its agricultural sector with directed subsidies in order to improve the agricultural infrastructure as well as the production of crops. The contribution or improvement of knowledge and technology combined with the low Romanian land prices, the qualitatively high-quality soil and the low labour costs will lead to strongly increased crop proceeds/profit and therefore also contribute to an increasing land value. A number of large foreign agricultural companies have already started working on so-called large scale farming in Romania. They continue to invest in order to expand their portfolios. Their motives differ; major professional investors look for a specific long term return with a low risk profile, while governments and state funds try to secure food provision. Romania is subsequently situated at the Black Sea (Constanta) and this provides a very favourable location, from a strategic-geographical view, with regard to the Arabic world, where food import rises draconically, providing security with regard to food provision is very high on the agendas and sufficient capital is present for providing this. As example we mention that a country such as Saudi Arabia imports food commodities of a value of approx. 35 billion dollar in 2013 and it is expected that this amount will have increased to approx. 65 billion dollar in 2020. In view of the climate changes it is generally expected that nothing will grow in the Arabic region after 15 years from now. The Romanian harbour of Jeddah can be reached within three days. And this also explains the particular interest of Arabic investors and governments for Romanian farmlands.